Tracey McGrath is known throughout Australia for her work in helping individuals and organisations to improve performance. Whether working independently or as part of a consortium, Tracey’s focus is on identifying and resolving the genuine cause of the problem rather than expending energy trying to resolve a symptom. Entertaining and knowledgeable, Tracey mentions the unmentionable in a way that allows people to laugh, get the point, and move forward. Tracey is broadly credentialed. A practising psychologist; she served for ten years on the governing council of Polytechnic West, the largest VET provider in Western Australia; is the only Australian to receive a WOW! Award for displaying excellence in customer service (An award rarely conferred on organisations outside of the United Kingdom); is one of only two Australian delegates to attend the “Nexus International Conference on Emotional Intelligence” in San Francisco in 2000; and has featured in print, radio and television. 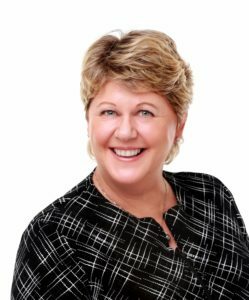 In addition to her organisational development consulting, her speaking typically includes 30 keynotes a year at major conferences, as well as numerous internal presentations for her clients. Tracey’s clients span commerce and industry, education and government. Her experience makes her relevant to any organisation needing to achieve outcomes through staff effort. “The WOW! Awards have until now been restricted to businesses in the United Kingdom. But when the creator of The WOW! Awards Derek Williams visited Perth in November 2002, he was particularly impressed with the levels of customer service that he found here. “When I received this nomination for Tracey McGrath I was delighted to organise this first Australian award,” said Williams.